Interned At: Mr. Satish Tamta, Advocate, New Delhi. Mr. Tamta has a fairly large chamber in the Delhi High Court, which he shares with a Junior Lawyer. He has a plush basement office in Noida which he shares with his wife, who is a Supreme Court Advocate. Application procedure: Mr. Tamta accepts interns by way of e-mail internship applications. Although not mandatory, he prefers interns who reside in Delhi. Mr. Tamta’s e-mail id is [email protected]. Duration in weeks. No. of days/week. 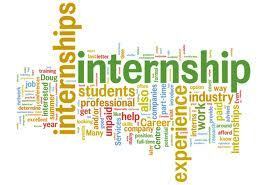 Timings: The internship is for the duration of four weeks, six days a week. Mr. Tamta might ask the interns to come to his office on one of the Sundays though, depending on the work. Second Saturdays are off, however, being Court holidays. The timings are usually from 10 A.M. to 8:30 P.M. You are expected to report to the trial court (and occasionally the High Court) where Mr. Tamta has a matter sharp at 10 A.M. The timings are flexible though and Mr. Tamta has no issues with giving time off if you have to attend to other urgent work. First impression. First day, formalities etc. : An extremely erudite man with a penchant for witty one-liners, Mr. Tamta came across as slightly intimidating on first meeting but after talking to him for a couple of minutes you feel at ease right away. On the first day we were instructed to report to his chambers at the Patiala House Trial Court with a copy of my ID Proof and a couple of passport photographs (needed for obtaining a month long High Court pass). Main tasks: Mr. Tamta does not expect his interns to do any intensive drafting work unlike other lawyers. He generally asks his interns to draft a few bail applications towards the fag end of the internship. He is extremely particular about the interns observing the court proceedings not only in his matters but also in other cases. The most important part of the day is the time that he spends with the interns in his office every evening, quizzing them about the happenings of the day and explaining in meticulous detail the strategy followed by him in the Court earlier in the day. He also asks the interns about their feedback and think about possible cross-examination questions. This is followed by an hour of ‘class’, where he teaches Criminal Procedure from a practitioner’s point of view. Extremely insightful and replete with examples of cases in which he has previously appeared, these classes are invaluable for learning criminal trial procedure. Work environment, people: Mr. Tamta is assisted by a 4-5 junior lawyers, who although do not interact much with the interns, are very cordial. His clerk, who handles the bulk of his filing work, is a jovial guy who goes to great lengths to make the interns feel at home. Best things: The best part about the internship has to be the ‘classes’ that he takes which I have talked about above. Watching him argue in big cases and then discussing it with him is an absolute treat, too. Also, he takes the interns out for a spin in his BMW now and then. How cool is that?! Bad things: People who are looking for a lot of drafting work would be disappointed.